The title is descriptive of the photo and of my mood. The diamond on the right is pretty clearly light blue, though some hexagons are more greenish or greyish. That just adds interest. The one on the left is just barely darker than the “medium blue” one in the middle. I’m not going to sew any of these up. They’ll just go back into the “blue” container as loose, basted hexagons. I do think that I learned I only need two shades of blue for I’m Not a Machine, though, and maybe greenish-blue, if I have enough fabrics in that shade, which I doubt. All told, I learned a lot about color and value this month, even if I didn’t get much done besides basting. I’m looking forward to next month’s color. I hope it’s an easier one, like orange. 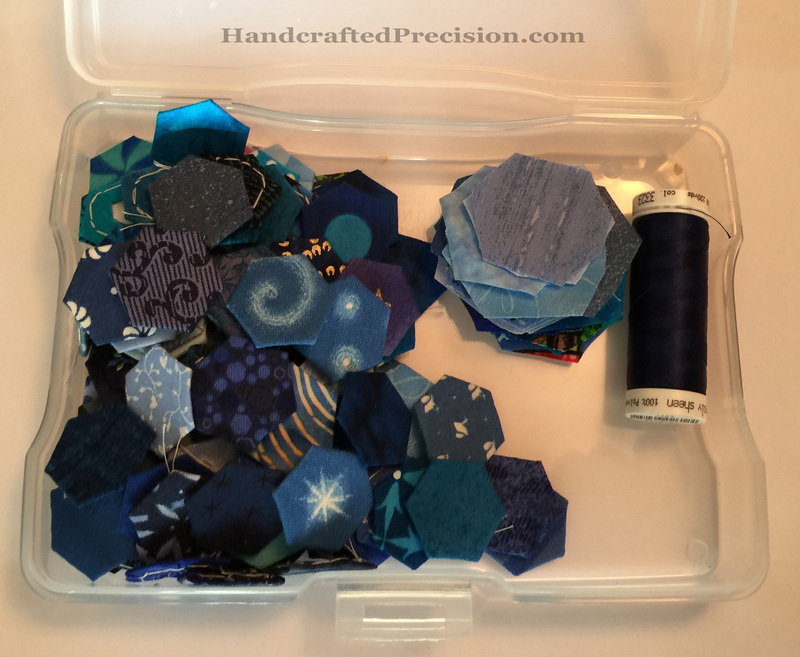 This entry was posted in Blue, English Paper Piecing, Hand Sewing, Hexagon Diamonds, Hexagons and tagged I'm Not a Machine, RSC on January 30, 2015 by HP. I know. I’m all over the place with this quilt (these quilts). If I’m going to put this much hand work into something, I want it to be pretty and something I’ll actually use. I realized that while I’m very excited about the process of learning and practicing all of the techniques, I’m not crazy about the pattern itself. It’s a lovely pattern, it’s just not for me. I’m not a super-flowery person and it wouldn’t go well with my decor (hence the outright rejection of color and trying to go black/white/grey with it). I was also iffy about the embroidered row that we start next week. I don’t like the dogwood “jewels” and I’m pretty sure the dense rows of dashes in the triangles would be boring and possibly take more time than I have. I’m also worried that if I used it as a couch blanket that the stitches wouldn’t hold up well with use (especially little-kid use). I also ended up hating both of my choices of fabric for the central medallions. My solutions are pretty simple, though they involved more freezer paper and ironing, which I did not love. Ta da! A new central motif. 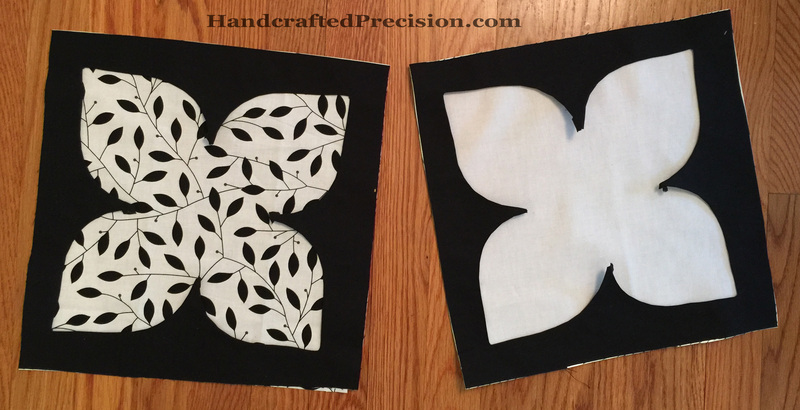 I’m going to use it with the black-on-white leaf fabric as the main focus. 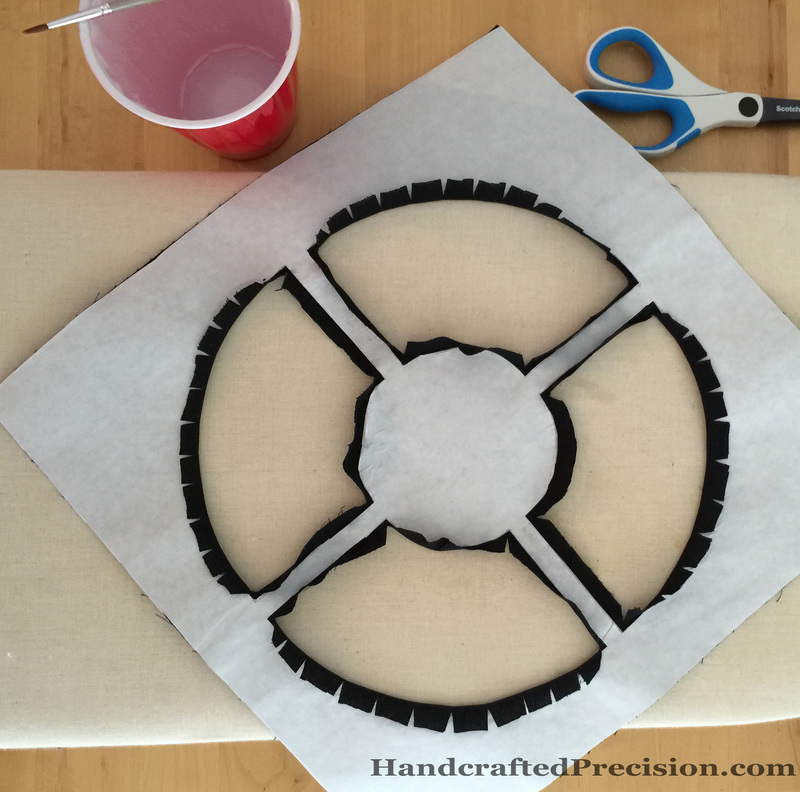 Since it’ll be broken up into the little windows, the main focal point will be that black circle in the middle, which I can embroider/quilt some concentric circles in and all will be well. I’m also going to replace the embroidered dogwood “jewels” with some more paper piecing and likely the other embroidery with HSTs. I’m going to try some curves for the first time! So I’ll still be learning and doing new techniques, but ones I’m excited about now. (The embroidery isn’t a new technique for me–I’m sure I could execute it well, but I’m not looking forward to it, which is reason enough to skip it). I’m only going to do one quilt and I’m going to use all three of the prints I’ve previously shown, as well as the greys I mentioned earlier in the week. 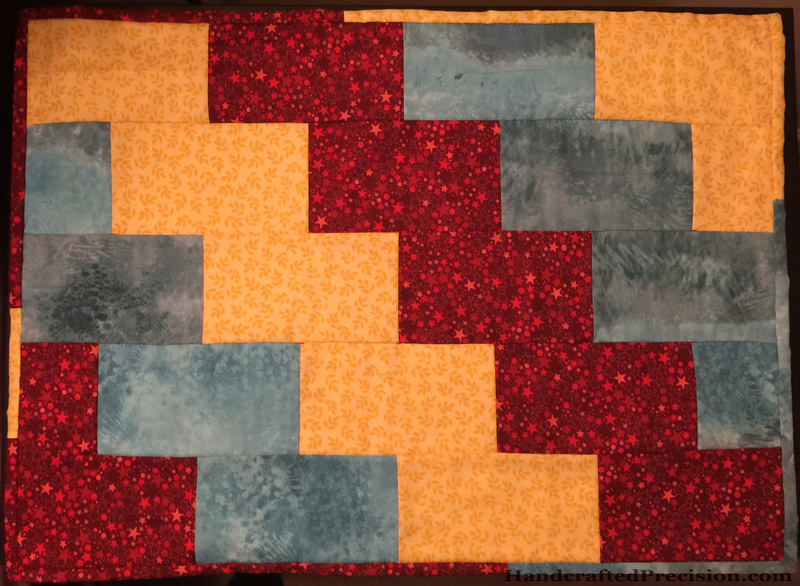 I’m feeling a lot better about this quilt! 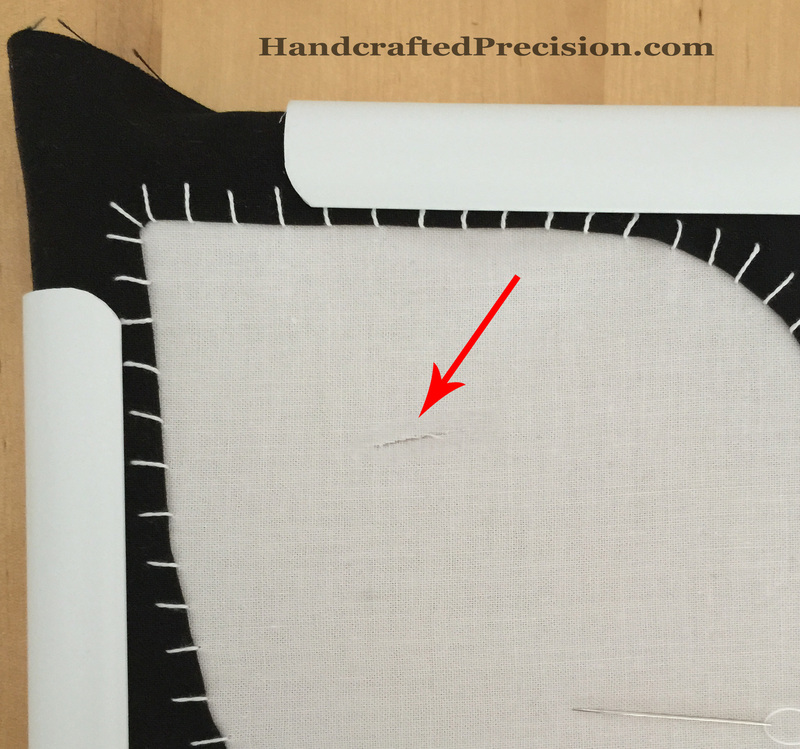 This entry was posted in Grey, Hand Sewing and tagged Handstitched Class on January 29, 2015 by HP. 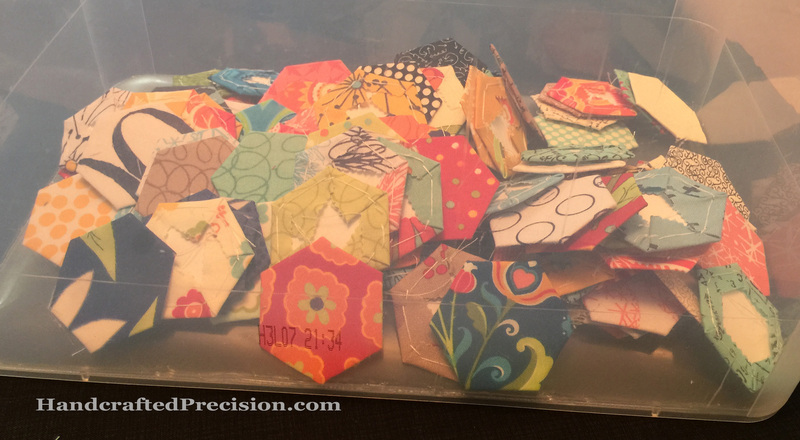 I’ve been basting fabrics from mini charm packs (and now charm packs, too) around 1″ hexagon papers and 1/2″ hexagon papers. 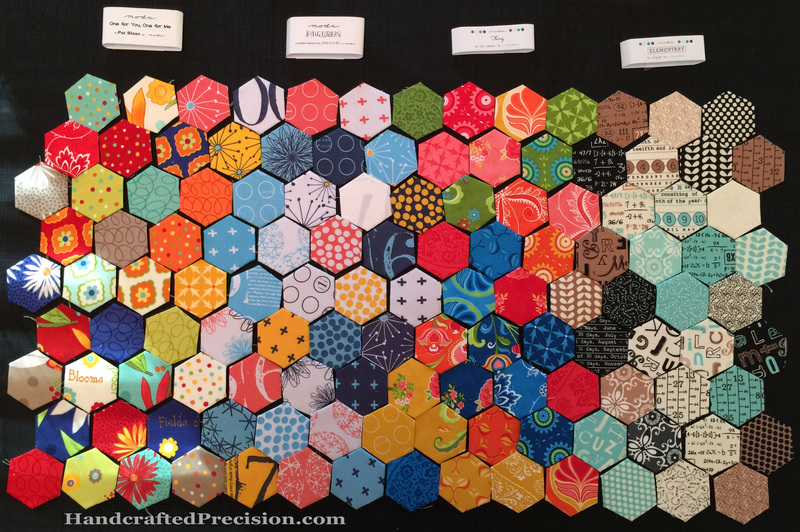 The 1/2″ hexagons are destined for my ongoing rainbow project “I’m Not a Machine“. The ones that don’t fit into the color scheme (and duplicates of the ones that do) are going to become some general, scrappy projects, likely small ones, along the lines of notebook covers or doll quilts. But I didn’t have a plan for the 1” hexagons. 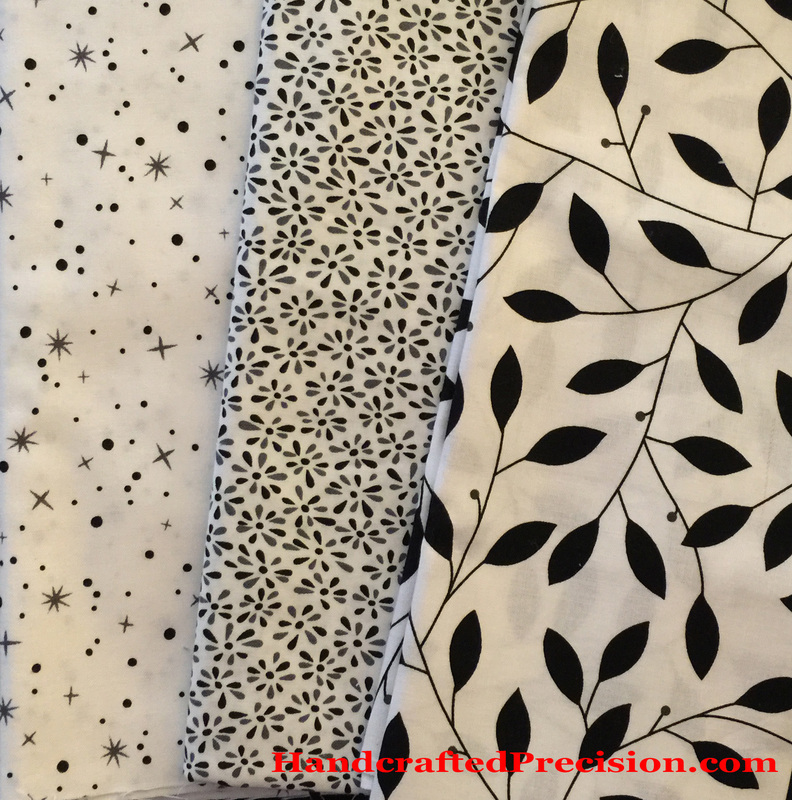 I was worried that the fabrics from the different lines wouldn’t play well together and I didn’t have enough of any one to make a sizable project. My sewing relative (SR) said that they’d look fine together and that the more different fabric packs I used, the better they’d all blend. She was totally right. 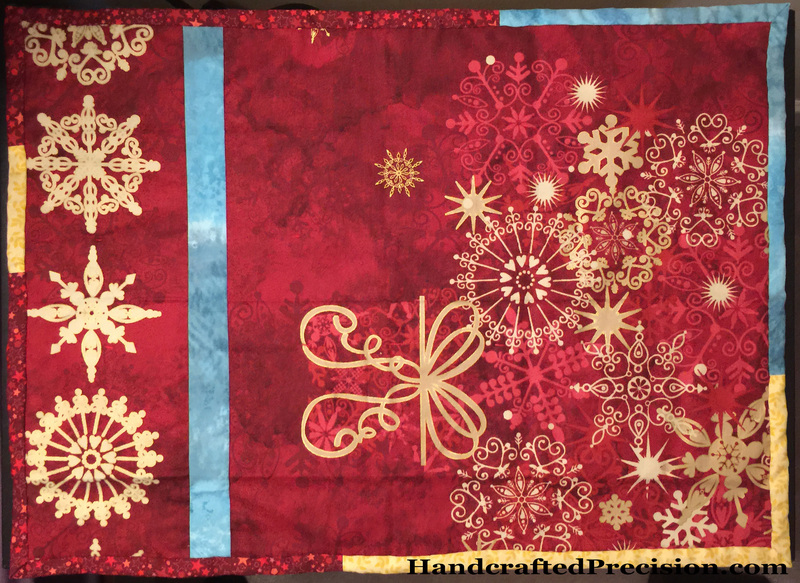 Even without mixing up the different fabric lines, they look good together, though the one on the right will look best mixed in. This simplifies my storage and construction options considerably. I’ve decided that after I’ve taken a picture of the basted 1″ hexagons from a particular pack, I’ll store them all in a bin together. The bin’s pretty tall, so I can shake it around before I pick out individual hexagons to add to a project. What am I going to make? Pillow covers for the couch! We’re using pillowcases now, which are easy to clean when the kids get stuff on them, but they’re ugly and it’s like we’re living in a frat house. The pillows are 16″ squares, so I’ll need about a hundred to cover each pillow. (CD Designs has a pretty good tool for figuring out how many of whatever-sized hexagon you’ll need to fill a specific space.) The backs will be solid (for napping), and I’ll use an invisible zipper to close. 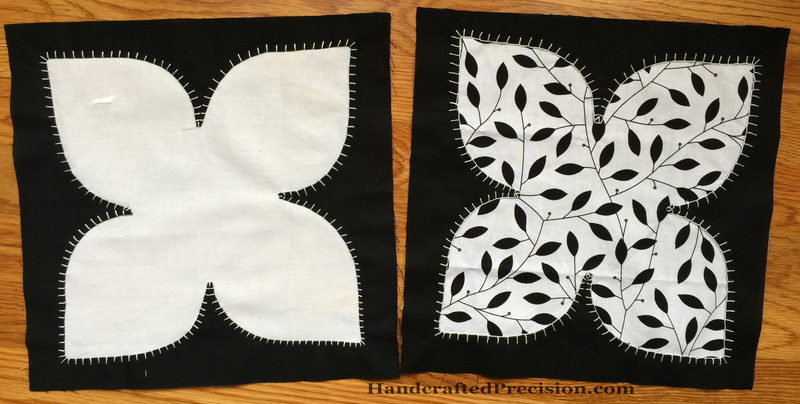 I’m going to machine quilt these babies, too. I’d like to have a lot more hexagons in the bin before I finish a pillow, but I might pull some out soon and start sewing them together. I also need to look at my scraps and see what I can fussy-cut for interest. 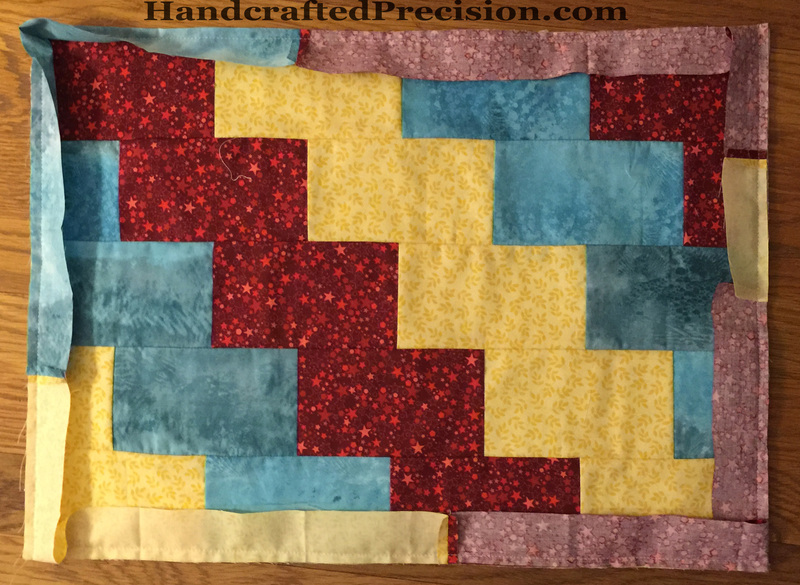 This entry was posted in English Paper Piecing, Hand Sewing, Hexagons, Precuts and tagged Couch Pillows on January 28, 2015 by HP. Welp, this quilt (or these quilts, as the case may be) is not going well at all. Sure, I have both medallions done. I did a bigger stitch than Rachel’s pattern calls for, but those pointy inside corners are ugly. 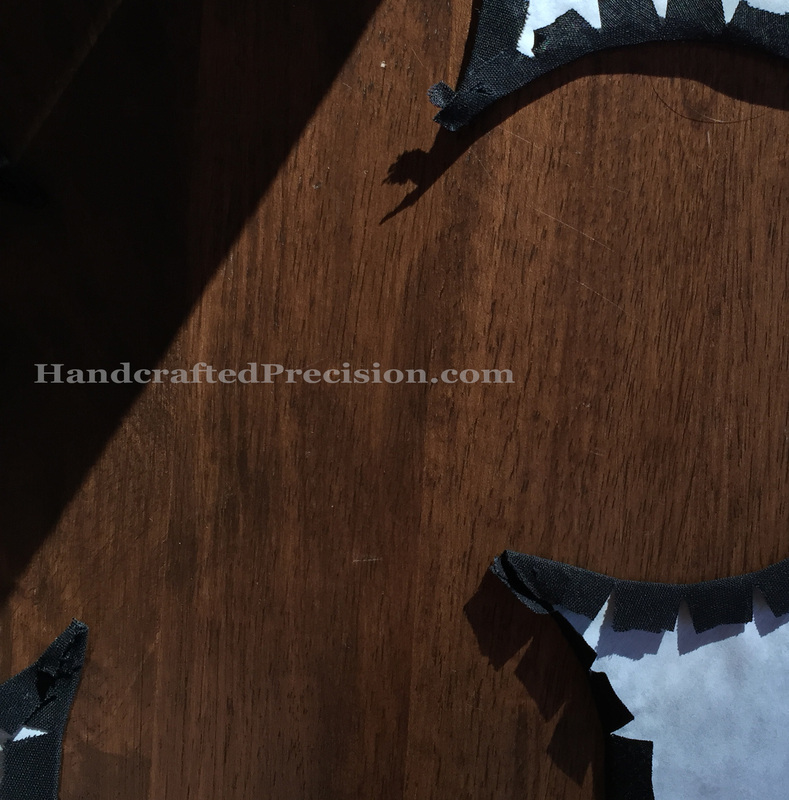 I did a true blanket stitch on the patterned one and the white does help set off the black in the pattern a little from the black of the background, but neither is good. And see that bright line in the upper left-hand part of the white blossom? Yup. It’s a cut in the fabric. I have no idea how or when it happened. I used some Fray Check on it then darned over it, which I thought was a better solution than appliqueing over it since I still want to do some dogwood embroidery and quilting on the white field, but the whole thing’s a disaster. The only good part is that I really, really like the Q-Snap frame. I’d only used wooden hoops before and this thing is a dream. One more good part: I really like sewing with these needles and the pearl cotton. 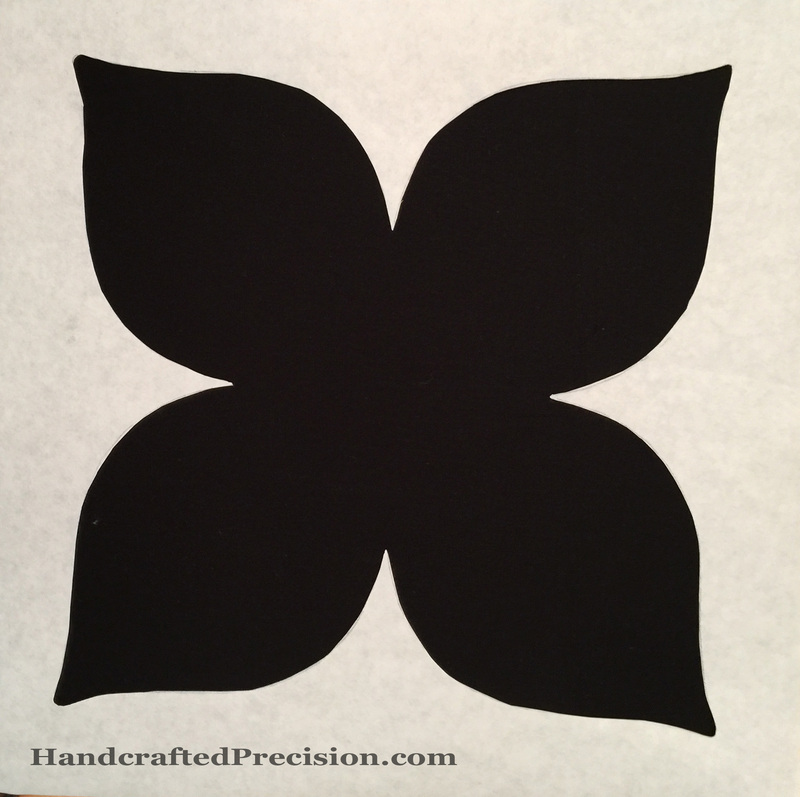 They slip right through the fabric and the cotton is glossy and smooth. I’d crocheted with it before but it’s really nice to sew with, too. So now I have two centers that I hate (well, not HATE exactly, but they’re far from ideal). I did cut some greys and white for the next rounds, so I guess I’m pressing forward. I’ll only do the embroidery round on the white-center medallion (which I’ll likely call “Mended Heart” for obvious reasons) and make HSTs (half-square triangles) for the patterned-center medallion. 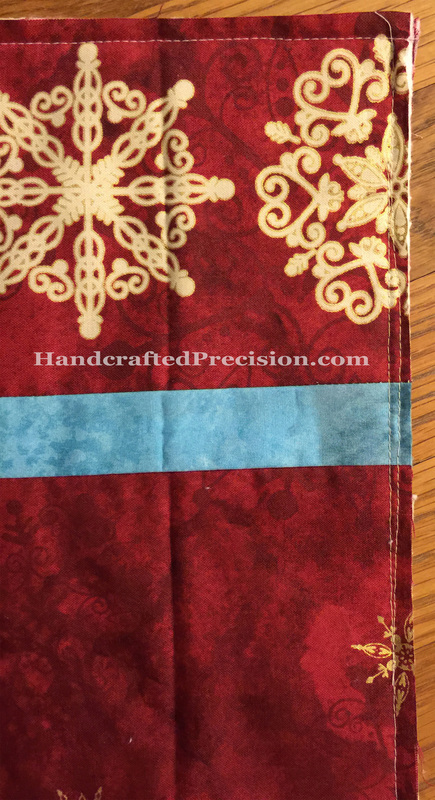 This entry was posted in Grey, Hand Sewing and tagged Handstitched Class on January 27, 2015 by HP. 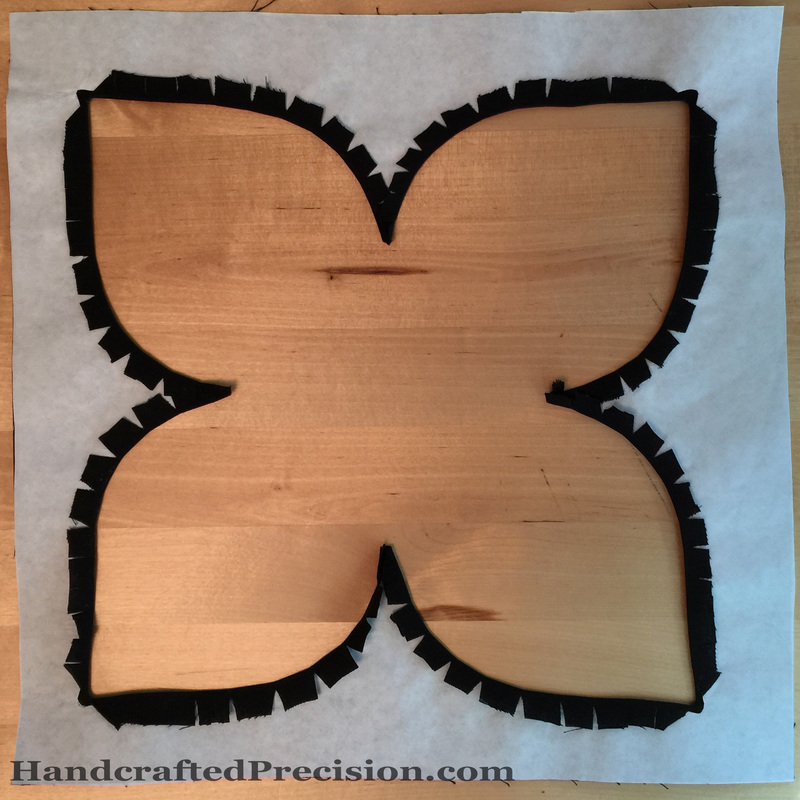 I’m not loving the reverse applique process so far, but I’m learning a lot. Let’s start with a cool image. 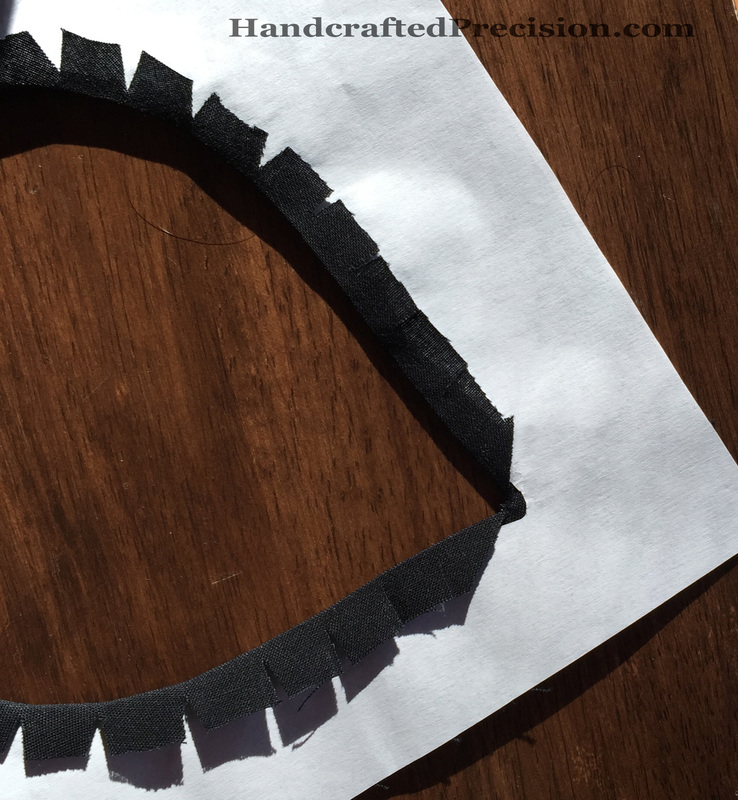 This is my black background fabric with the freezer paper adhered to it. Remember this image, since I came to a realization about it further along in the process. You really, really need that little brush for the starch. I’m glad I had one handy. See those terrible corners, inside and outside? Yeah, I really didn’t like doing this. Not terrible, but not great. Why? Because it’s a MEDALLION quilt and the very central fabric has to be outstanding, not necessarily a busy print, but it has to draw your eye, like the black center in the first photo above. Duh, I said to myself, but I wasn’t about to jump ship and change plans. That’s why you’re looking at two medallions. I did the plain white one first, thinking I’d spice up the inside with embroidery and/or quilting (like a real dogwood blossom–lines on the petals and circles in the center), but it wasn’t grabbing me so I used the biggest black and white print I had, but that print’s not special enough to be the main focal point of the quilt. I think I know how to fix them, but I need to get them stitched together first. 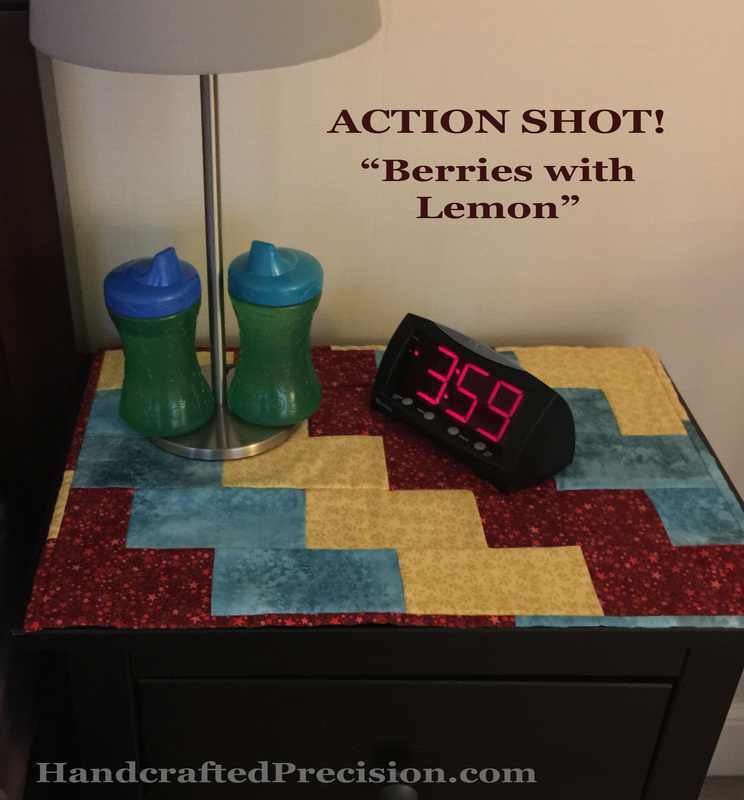 This entry was posted in Grey, Hand Sewing and tagged Handstitched Class on January 26, 2015 by HP. 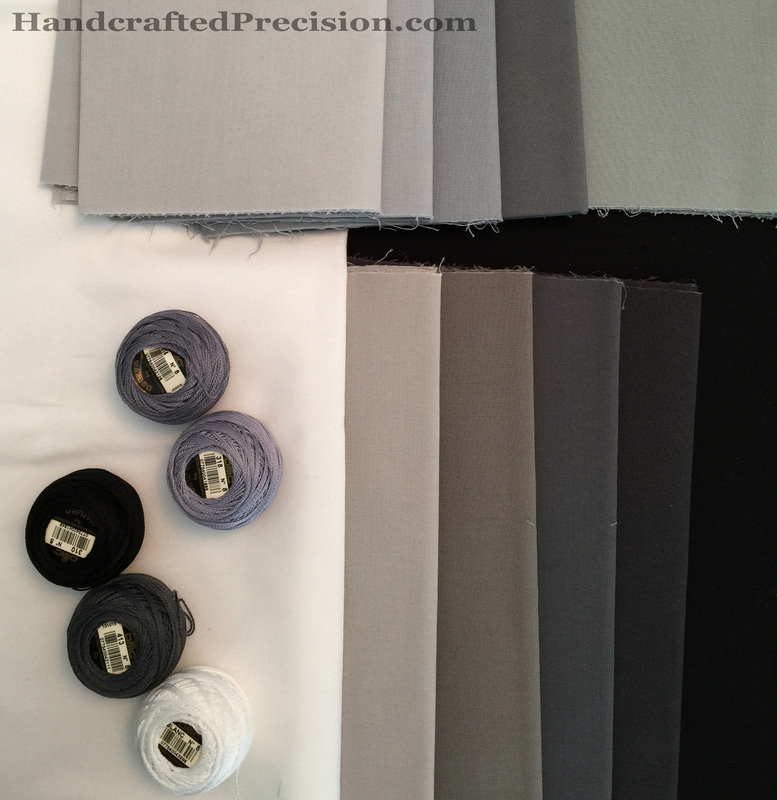 Very few of the fabrics I got are a pure grey. The one in the upper right is greenish and the ones in the middle on the bottom look beige (worse in the picture than in life), but that’s better than the blue-greys on the top. If I want to work with close solids like this in the future, I think I’ll need to pick a fabric line and invest in a color card. Fabric selection’s been way more difficult than it should have been. I also have one more color of pearl cotton coming. I hope it’s more of a true grey than the blue-grey balls up top. And the prints I got are still sitting in my sewing room, calling me. I’m agonizing too much about this quilt and I haven’t even started yet. 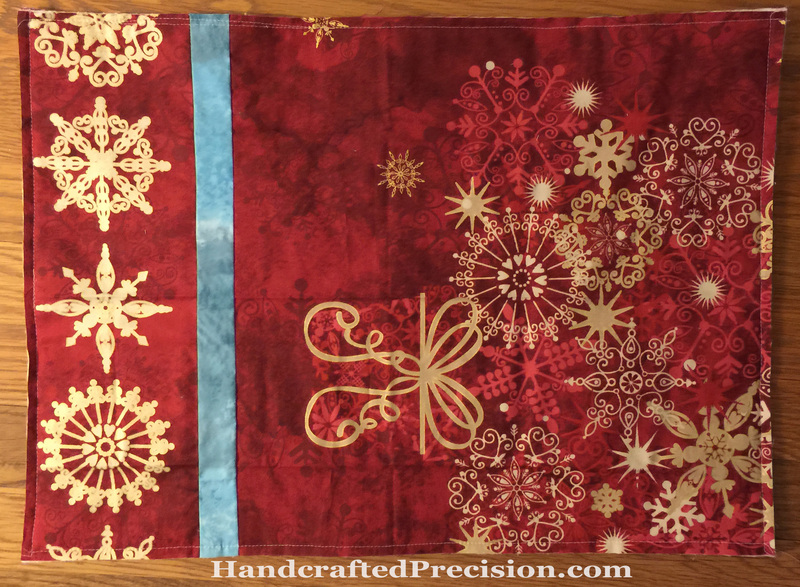 This entry was posted in Grey, Hand Sewing, Stash and tagged Handstitched Class on January 25, 2015 by HP. Thanks to all of the encouraging comments last week, I decided to pull two bits of every piece of blue fabric I have (even some that are clearly too greenish, too multicolored, or too greyish) and baste them up, then try to separate them into light, medium, and dark blue piles. I’m actually basting with white thread. The blue in the photo is in case I feel confident enough to sew a medium blue or dark blue diamond together. I feel pretty confident that I can make a diamond from these hexagons that reads light blue to me, but I’m still worried about the lack of difference between dark blue and medium blue. Well, that’s what experiments are for. More basting! 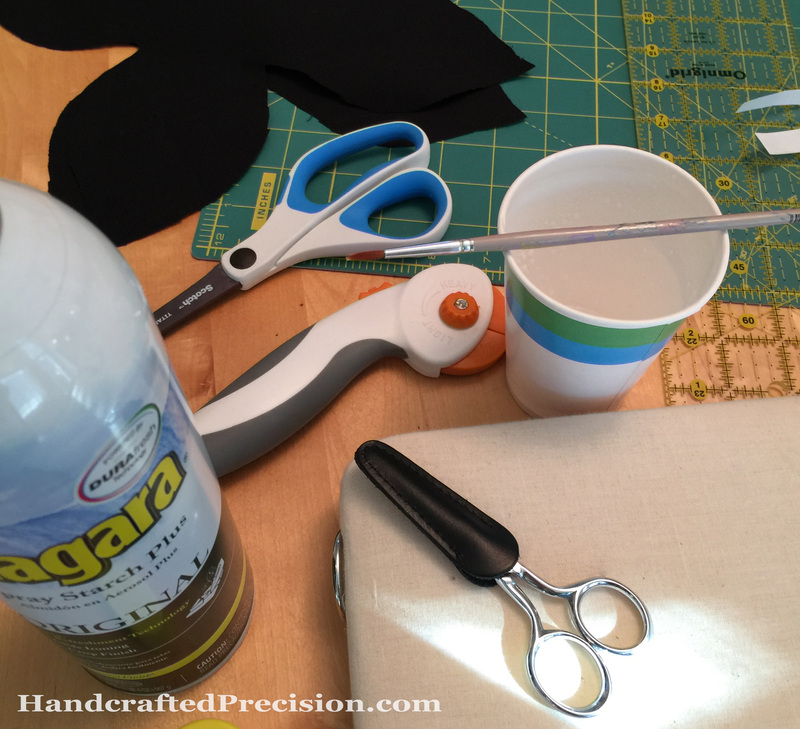 Linking up to soscrappy’s RSC. 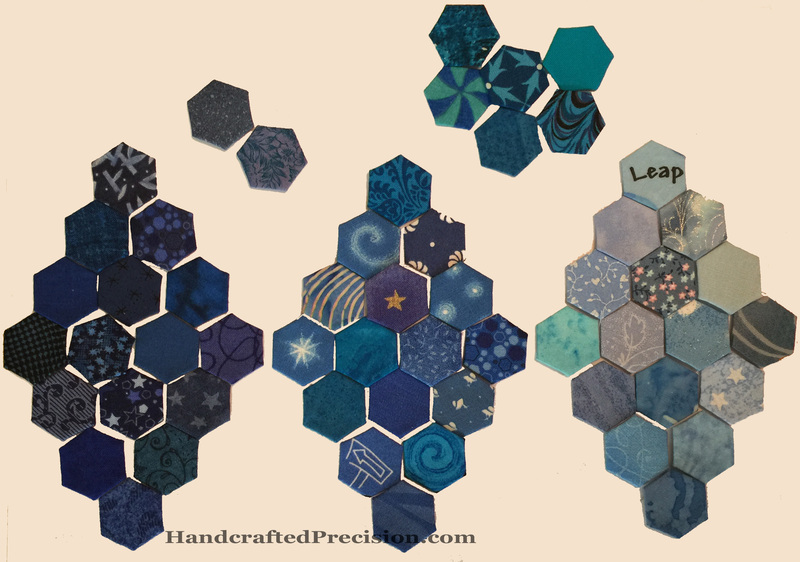 This entry was posted in Blue, English Paper Piecing, Hand Sewing, Hexagons and tagged RSC on January 23, 2015 by HP.